You speed, I speed, we all speed down the highway. Speeding is the tip of the iceberg, just one of many Positive Deviance solutions we all use often and effectively. My Art is based on the observation that everyone quietly, automatically and frequently deviates from norms of society to get better results---we speed because it gets us where we want to go more quickly than the posted speed limit. ART FORM. Speeding and other instances of Positive Deviance represent a beautiful, mysterious and as yet little explored realm of human ingenuity and creatively, one that is essential to living 'the good life'. This makes it, for me, a worthy subject of art and celebration. ART METHOD. In my exploration of Positive Deviance I employ a type of performance art. I create little movies, books, pictures, songs, programs, contests and other things, in which I recommend Positive Deviance solutions, many of which are natural and logical extensions of what we already do. For example, one of my pieces, The Helmet Solution, is a full-length movie in which I suggest people wear a helmet. ART FUNCTION. "The Helmet Solution" is not only a movie. It, like my other pieces of art, is a foundation from which to foray---to hunt for additional insights and other treasure. At the end of each piece the phrase "Foray to..." headlines a collection of links that lead to further discoveries in the wonderful world of Positive Deviance. HUMOR. Wit is an essential ingredient in My Art. Just as Mark Twain observed "humor is the good natured side of a truth", Positive Deviance is the good natured side of deviating. Consistent with this spirit, I blend dry humor into my pieces. I do this not only to amuse but for therapeutic reasons as well. Humor helps people feel more at ease by giving them soft points for engaging with difficult truths. The cushion of humor is vital because even though My Art focuses on the sunny-side of deviance, it is still deviance, which for some people is rugged, scary, threatening stuff---as evidenced by the fact that Positive Deviance tends to get the 'that-which-must-not-be-named' treatment. For example, although parents, teachers, preachers and police frequently use speeding themselves, they shy away from advocating, explaining and teaching children, students, congregants and the public how to speed more safely. But we are now in the dawning of a new era. It's time to approach Positive Deviance solutions more boldly; to recognize them for what they truly are: 'the hidden habits of highly effective people', backstage rituals everyone uses to speed down and navigate life's byways and highways. I offer My Art as a place to start. 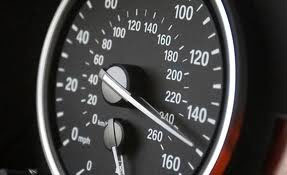 Speeding is just one of the many "micro violations" of law that are as inescapable as they are decidedly positive! That we ALL speed is a fact with strategic implications for maintaining boundaries and personal freedom. Speeding is logical. It saves a few minutes on your commute, hours on long trips. But the reason we use speeding, as well as other Positive Deviance, is not just (and sometimes not primarily) because of logic, but to feel. Celebrating speeding and other Positive Deviance solutions energetically as I do can set off some people's warning bells, but there's no need to fear "POSITIVE" Deviance. Consider ideal conditions for speeding, and not. For example, a police car pulls up behind, beside or in front of you, what do you do? And then, when the police are gone, what do you do? Do police officers know what you do in these conditions? Compare this to Positive Deviance people use at work: When your boss comes into the work area, what do you and other employees do? What do you do when your boss leaves the area (or on vacation)? Does the boss know what you are doing? Does the boss expect it, allow it? We don't all speed at the same speed: One person's Positive Deviance (sweet spot/safe speed) may be another's Negative Deviance (sour/un-sweet spot/dangerous speed). This point is valid not only for speeding, but for every form of Positive Deviance we use. See Speedy Art (notes): Education (quick-through-school, little to no mastery of languages, math---beyond 4th and 5th grade level, etc. + we've got to keep going to get through this lesson...ODDLY ENOUGH THE SOLUTION IS MORE SPEED..MORE COWBELL...WE NEED TO DO CALCULUS IN A WEEK) math)MovLose weight fast, Education...one-week menu, wedding pictures, mvoies (no talk about, watch next), conversations--how are you-great...eat fast, love-fast, run through the art gallery (SPEEDING IS THE ULTIMATE SOLUTION...we need to honor our need for speed at the same time we honor the need for substance and mastery....this understanding led me to change what I was doing with GWS....I needed to add more stuff, but move quiker through the things people are unlikely to use...and spend more time with the things they are going to use...so I pack my plate fulll...just like they do self-help books...to give the sense of fullness...spirit of abundance...say yes to everything but don't say how much of everything you are going to do---or when you are going to do it) In this way speeding faster becomes a wonderful positive deviance solution to a brokens system...because who cares if we spend 15 minutes or 15 days on some polynomual function if they result a few laters is still near the same (zero retention)....in essence I propose we reach slow-living by speeding up. , speed dating celebrate speeding society...link to having a speed party, where the theme is to do certain things very fast (accomplihsments, etc. )...go faster and faster (but be positive)....Have a Postitive Deviance party.